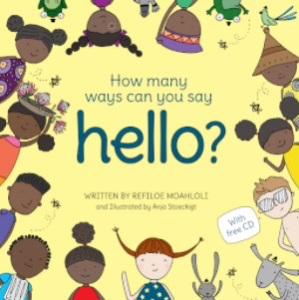 That’s just our way of telling you about the special price we’re offering on your pre-order of the wonderful How Many Ways Can You Say Hello, by Refiloe Moahloli. Order before Friday 10 March and you’ll get the book at R130, not R140. Orders to kate@lovebooks.co.za. How Many Ways Can You Say Hello is the delightful tale of Sarah, who’s biggest surprise on the first day of school, is that she can’t understand all the other children. Told in rhyming verse with charming illustrations, the book comes with a CD narrated by the author. It’s set to become a must for all South African children (and their parents and grandparents). Look out for the launch at Love Books onSaturday 11 March. Please note, we’re closed for STOCKTAKE on Tuesday 7 March. As always, the shop is groaning with tempting things, so do pop in. You never know what you might find. Go to www.lovebooks.co.za to see what you should be looking out for in March.